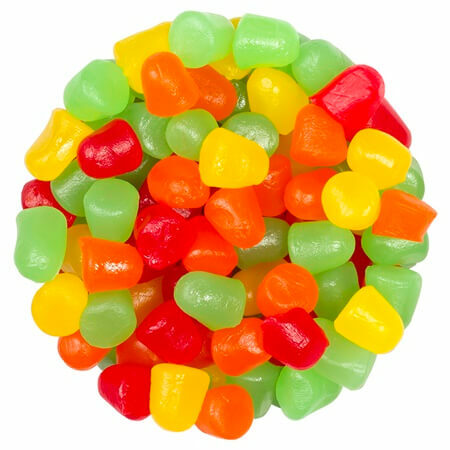 Assorted Juju Drops is a ten-pound mix of red, yellow, orange and green colored candies with a nostalgic appeal. 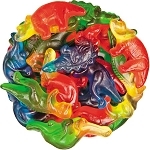 These delicious juju drops shaped candy pieces give you long lasting chew you can savor the flavor. 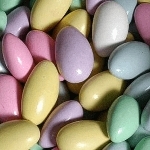 This bulk unwrapped mix is ideal in clear scoop bins and sold by the pound or fill labeled candy bags with your store name and advertise your business with the bonus of a sweet and delicious treat. Buy in bulk and save on time and money. Order your colorful juju drops today!